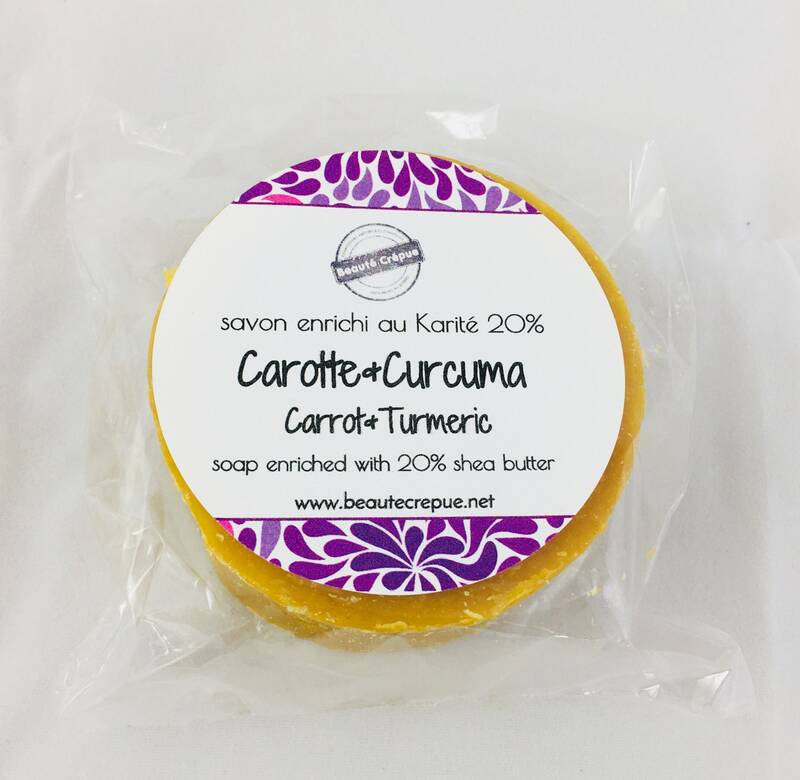 CARROT& TUMERIC is a real skincare treatment for body and face. It contains organic carrot juice, apricot kernel oil, sweet orange and celery essential oils, carrot puree and turmeric powder, which give this soap excellent illuminating properties. 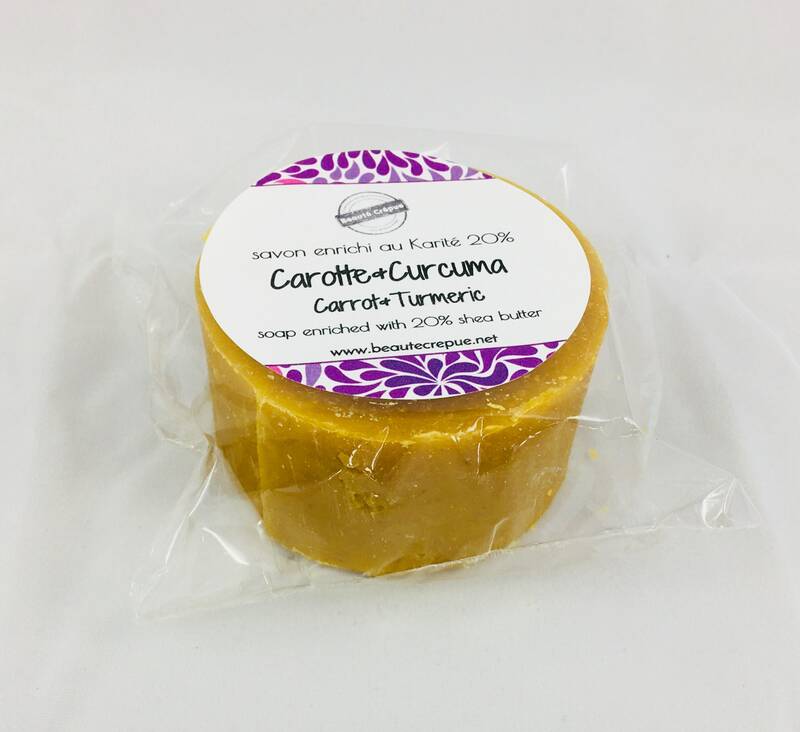 Like all our soaps, our Carrot & Turmeric soap is very rich in shea butter at 20% for the softness, hydration, protection and nutrition of the skin. Ingredients: Distilled Water, Olive Oil, Coconut Oil, Shea Butter (20%), Castor Oil, Rice Bran Oil, Avocado Oil, Apricot Oil, Essential Oils of Sweet Orange and Celery, Vitamin E.